Meeting called to order at 6:15 p.m. Attendance: Iris Oleksuk, Angela Roberts, Hailie Emms, Natalie Nordin, Kelli Hayhurst, Terry McKee, Susan Heald, Emil Kucera, Janine Thomson, Linda Gillies, Mary Anne Kirk, Carrie Schellenberg Wilson, Eugene Roussin, Tammy Storie, Brenda Tolpa, Judy Olson, Nicole MacDonald, and Joy Galloway-White. Agenda adopted as read by Janine and seconded by Hailie. Meeting minutes adopted as posted by Hailie, seconded by Natalie, carried. Treasurer’s Report: $2,178.11 GIC, $5,142.21 Chequing. Motion to accept, Natalie and Terry, carried. Clinic: Distance Rides 101 Will be held at Janine Thomson’s on Saturday 11 May 2019 from 10-12 (tentative). Currently four categories set up: CTR Rules, Volunteer Jobs, Heart Rate and Respiration, and What you’ll need when you come to a ride. Volunteer jobs: Scribe, Timer, and Tabulating – Tammy. Heart Rate: How to use handhelds and stethoscopes – Kelli. How to evaluate Respiration, Temperature and how to estimate weight – Kelli and Natalie? Kelli will email Welcome Package to Susan. All handhelds have batteries – Kelli purchased and replaced before putting them in inventory. No cost to participants. 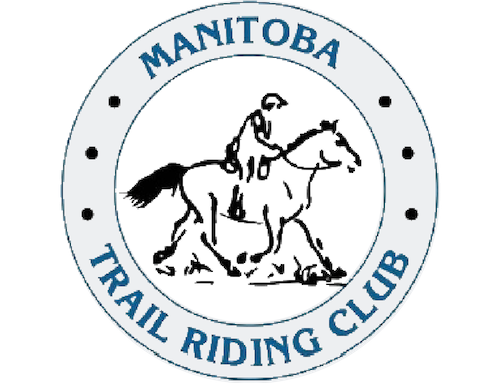 Possible draw for a ride entry or membership. $200 budget for snacks and refreshments. Coffee/tea, water, juice and soft drinks, and muffins or something similar. Susan Kelli Tammy Natalie? Zoho Online Registration DRM is getting the large subscription. In theory, MTRC could share costs but more research would need to be done to ensure that process for year end meets requirements. A committee will be created to address. Iris Carrie Kelli Ride Mgrs ? Volunteer Appreciation Ideas BBQ and bonfire were suggested. Perhaps not an event but specific items to be purchased with individuals in mind. MHC Director’s Insurance to be paid, event calendar sent in and posted, recreation grant tabled. Bud, Spud and Bird $25/ticket, 109 dinners sold, thank yous to go to Ken and Nicole for the Jets tickets, Diane Tolgyessy for the lamp. The team setting up did a great job. Volunteer Chair Tammy has put out a request for volunteers for the rides. Spruce Woods has been taken care of; Sandilands has a Timer and a Scribe, and Belair has a Timer. Board of Directors USB drives Kelli has updated all of the USB drives and distributed to the BoD. Coggins Testing MTRC and DRM will be requiring a negative Coggins Test for this ride season. Tammy stated that there is a group testing event tentatively being set up for 28 April at BHP, the vet will be Dr. Brittney Derksen. Tammy will post to both website and Facebook when the details have been confirmed. You will be required to PROVIDE to Ride Management, your negative Coggins Test paperwork at the events. Next meeting: 9 April 2019 at Tammy Storie’s residence, 6 p.m.
Motion to adjourn made by Angela, seconded by Janine, carried.